We could not do what we do in Ethiopia without the support of people like you! 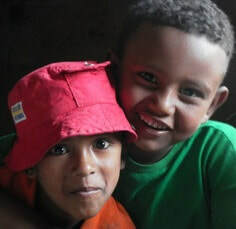 Each year we have two fundraisers that raise money to help us expand our work in Ethiopia. Please see our list below of coming events and how you can attend and in the process help our cause! Cost: $120 Per Player that includes range balls, free gift bags, two drink tickets, and a buffet lunch. ​Come join us and play golf for a great cause. All proceeds of the golf tournament will help us to expand our efforts in Ethiopia and help us to put in TWO libraries in Achera and Dablo Ethiopia. ​Join us on July 14, 2018 at TopGolf Katy for a morning of fun for a good cause. For $60 participants get two rounds of tournament play and a breakfast buffet. Sign up your team today. Teams can be up to 6 persons. Starts at 9:00 am and ends at Noon. All proceeds go to our work in rural Ethiopia! Cost: $20 Adults; $18 Children under 18; $50 max per family. Come and have brunch and learn more about education in Ethiopia. Listen to a story from a Disney Princess and a Superhero and then have your picture taken.Create crafts that will be delivered to students in Ethiopia. And learn about going to school in Africa! All proceeds benefit Acts of Wisdom and help us to expand our presence in rural Africa to help give more kids the materials they need for school! Join us for a night of food, music, and sharing as we come together to help Acts of Wisdom expand its impact in rural Ethiopia by helping children in their pursuit of education. Tickets are now available now! Time: 6:30 pm till 10:00 p.m.
Our theme is Masquerade! Come dressed up or put on your favorite mask if you wish! There will be music, dancing, and a silent auction!